Christmas is coming… and here is our annual Craft Fair to help you get prepared for the festive season. 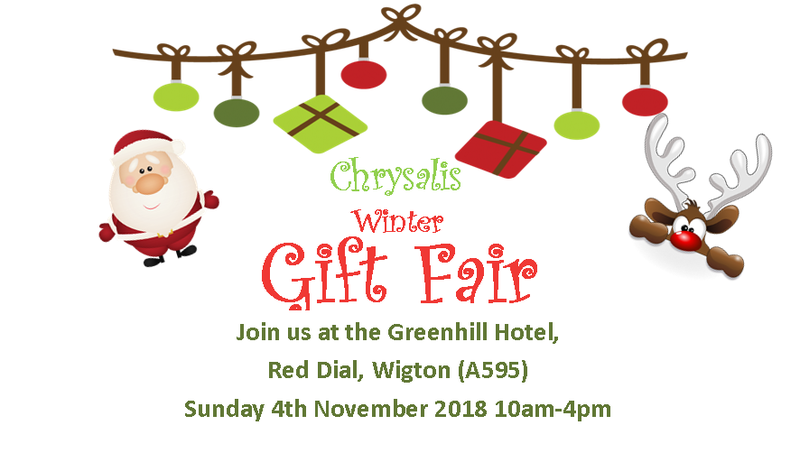 With gifts galore there will be plenty of opportunity to find those special gifts for those special people and an abundance of trinkets and decorations to make this Christmas really special. 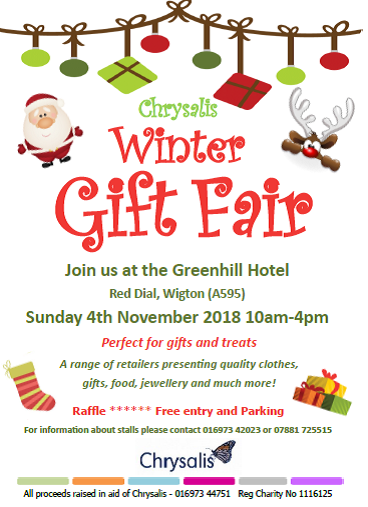 So come and join us on Sunday 4th November 10am to 4pm at the Greenhill Wigton.